Baden was a minor margraviate which emerged in lower western Germany during the general political collapse which began in the eleventh century. Much of its territory had previously been within Swabia, and before that it had been occupied by Celtic and Germanic tribes such as the Latobrigi and Tulingi. The margraviate of Baden was formed in eastern central Swabia during the general political collapse in Germany which dominated the eleventh century and became far more serious during the twelfth century. The rebellion by Rudolf of Rheinfelden became known as the Great Saxon Revolt, with him being succeeded in his opposition against Emperor Henry IV by Berthold I of Rheinfelden (rival duke of Swabia), Hermann of Luxemburg, and Conrad of Franconia. Son of Berthold I of Zähringen. d.1074. Son. Created Margrave in 1112. Despite being a firm supporter of Holy Roman Emperor Conrad III, Duke Henry V of Carinthia loses the margraviate of Verona to his own uncle, Herman III of Baden. Perhaps this is fortunate as, in 1164, the most important of the Veronese cities band together into the Veronese League to counteract the Italian policies of the emperor's nephew, Duke Frederick Barbarossa of Swabia. 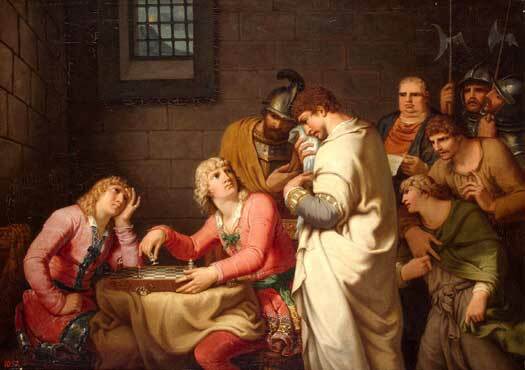 Became Herman, Duke of Austria (1248-1250). Conradin of Swabia assembles a multinational army in Italy, determined to secure his own claim to Sicily in opposition to Charles I of Anjou. He is ably assisted by Frederick I of Baden, but the pair are defeated at Tagliacozzo, and both are soon arrested. The margraviate is divided, forming Baden-Durlach and Baden-Baden. Interregnum. The margraviate is probably ruled by Baden-Durlach. Louis William's forces form part of the Imperial Army which defeats the Ottomans in Hungary. Augustus has no heir, so the title of Baden-Baden falls to the margraves of Baden-Durlach, and the divided territory is reunited. Frederick king of Sweden dies without having produced an heir. In his landgraviate of Hessen-Kassel he is succeeded by his brother, William VIII. Sweden elects Adolphus Frederick, son of Christian August of Holstein-Gottorp and Margravine Albertina Frederica of Baden-Durlach (daughter of Frederick VII). Despite the instigation of the Russo-Swedish War by parliament and the country's humiliating defeat, the Swedish monarchy still has little real power, with the result that Adolphus Frederick is a weak ruler. Augustus of Baden-Baden has no heir, so the title falls to the margraves of Baden-Durlach. Baden-Durlach is raised to a Grand Duchy by Napoleon I of France. Baden becomes a part of the Prussian German empire. All German monarchies are abolished upon the defeat of the German empire in the First World War. Baden is recreated as a constituent part of the new federal Germany and its future fortunes would be tied to this new political creation.